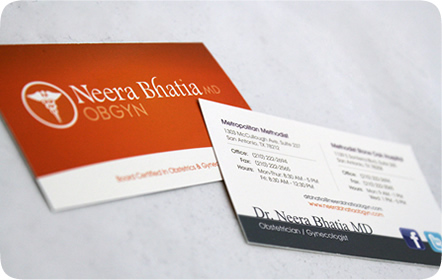 Dr. Neera Bhatia, M.D., is an OBGYN specialist in San Antonio who has 30 years of experience as a resident. 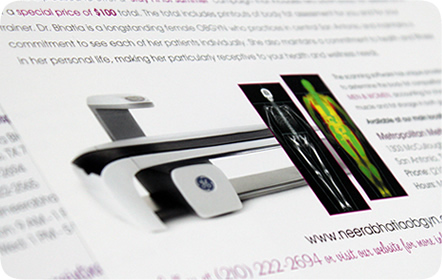 As a physician who is always current with the newest technology, we knew we needed to keep her fresh and relevant to her audience. 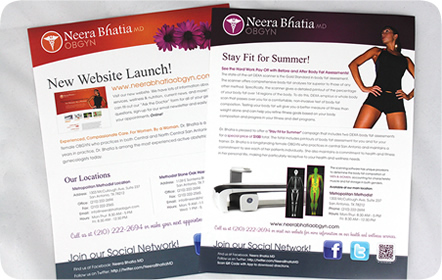 We already had great success with the branding of her website, now the challenge was to carry the brand through to all of the print collateral. 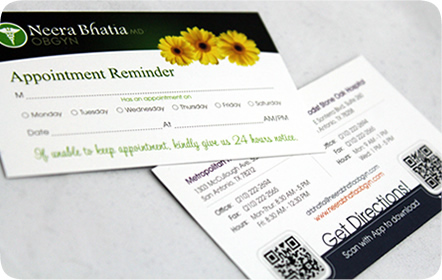 Dr. Bhatia’s brand uses a variety of regal colors and large, eye-catching flowers. 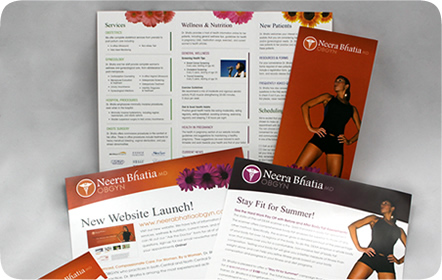 To seamlessly flow from print to web, we applied the same graphic elements and styles to all the new pieces to support her brand. 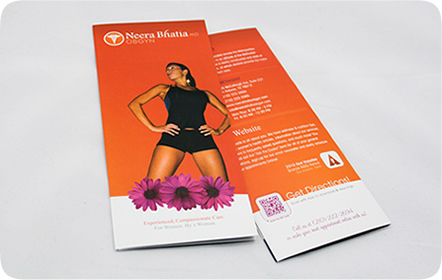 Business cards were made for her to hand out and to have readily available at the office while flyers and posters decorate the space and advertise her practice for her clinic. 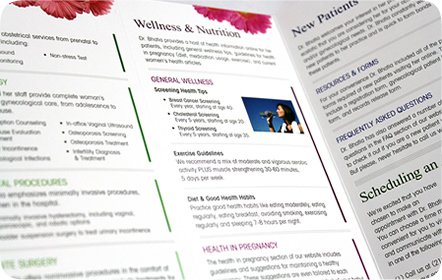 Schedule appointment cards and brochures provide valuable information to her patients. 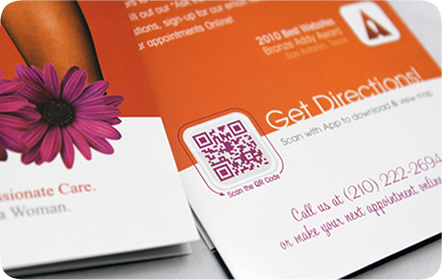 In every case, we made sure to include a way to connect with Dr. Bhatia, whether it be through a QR code that leads to her website, her social media handles or simply listing her website’s URL. 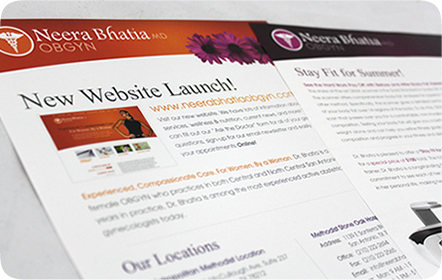 Her clinic has grown tremendously through the inclusion of her website and her print pieces, having added hundreds of new patients since we implemented her new brand.